"Quickly providing employees with the information they need to perform their tasks"
"Turning Nonsense into Common Sense"
Most of you are aware of what a goal is, how to set one, and the path you need to take to achieve it. You probably also know the importance of setting a goal that is attainable, measurable, and results-oriented. But what you may not know is that goals and goal setting can limit or trap you into utilizing methods, ideas, or processes that don’t closely relate to the path you need to take to reach your ultimate goal. In other words, doing something because “That’s how it’s always been done” isn’t always the best way to get to where you want to go. During this training session you are going to learn how to THINK, and better yet, how to SOLVE questions that come up in your organization, as well as in your personal lives. In order to be prepared for this session, please take a few minutes to think about your personal goals, goals you have for your department, and goals for your organization. Jot them down, and plan on bringing them to the session. The purpose of this task is for you to be able to evaluate your goals at the end of the session and see if they have changed in any way. Describe the results you hope to achieve by implementing a process of ongoing improvement. 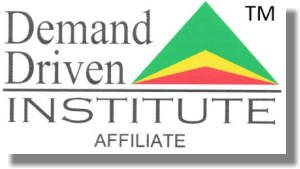 'All businesses need to make a profit now, and in the future"
This program was taught by one of the world’s most sought after business leaders - author and educator, Dr. Eli Goldratt. Eli Goldratt has been described by Fortune Magazine as a “guru to industry” and by Business Week as a “genius”. His charismatic, stimulating, yet sometimes unconventional style has captured the attention of audiences throughout the world. Eli is a true thinker who provokes others to think. 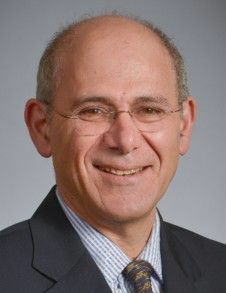 Eli Goldratt is the creator of the Theory of Constraints (TOC) and is the author of business best sellers The Goal, It’s Not Luck, and Critical Chain. Goldratt’s Theory of Constraints is used by thousands of companies, and is taught in hundreds of colleges, universities and business schools. His books have sold over 3 million copies and have been translated into 23 languages. Goldratt’s fascinating work as an author, educator and business pioneer has resulted in the promulgation of TOC into many facets of society and has transformed management thinking throughout the world. Eli Goldratt delivered the Satellite Program in eight 3-hour sessions, exposing the problems embedded in each function, discussing the cross-functional solutions and outlining the practical ways to implement the solutions - all in JUST 24 HOURS! After each session there will be time to discuss how the lessons learned might be applied to your business. “Creating a competitive advantage for your business"
We are beginning to realise that a company can’t exist in isolation it requires excellent suppliers, planning and control of inventory throughout the manufacturing plant and customers that are prepare to collaborate to provide a competitive advantage, over and above their competitors, to the businesses in the supply chain. The target group for this seminar are top management and those persons responsible for any aspect of the supply chain. These people could include Sales and Marketing personnel, Master Schedulers, Buyers, Shop Floor Planners, Supply Chain, Logistics or Materials Managers. The objectives of the course are to provide the delegates with an overview knowledge of the various aspect of supply chain management and thereby to encourage further study on formal education programs such that our supply chain personnel ultimately have excellent international qualifications and can apply the principles learned in their portion of the supply chain. "How to plan and control all the resources of a manufacturing business"
The importance of education in our manufacturing plants is well known. The importance in having good, well implemented Integrated Manufacturing Operating Systems (ERP) in place before you can become a World Class Manufacturer is general knowledge. It has been highlighted in numerous surveys that those companies that have been successful in implementing these systems have given a large percentage of their employees the opportunity to attend courses of this type. The target group for this seminar is all Top Management and the key employees in all departments of the company. This would especially include persons from Manufacturing, Purchasing, Materials, Stores / Warehouse, Quality Control, Engineering / Technical, Costing, Finance, and Human Resources. The objective of this seminar, is to illustrate how these systems link up with the ground rules for World Class Manufacturing as well as give the basic understanding and generic knowledge of how these systems operate and their effective implementation. The seminar describes how a company can plan and control all the resources of their business, which include Materials, Men, Machines and Money. The key to good planning in any business is to start with the best forecast of sales that can be put together. Without starting the planning process off with a reasonably accurate forecast all materials and capacity planning throughout the organisation will be suspect. In addition, your customer service will suffer and remain at a low level. The target group for this seminar is anybody working in a Sales, Marketing and Planning role. Top management will also find the seminar useful, as a reasonable aggregate forecast for the Sales and Operations planning process is essential. Master Schedulers should attend, as having a reasonably accurate detailed forecast with which to work will improve the function of Master Scheduling considerably. The objectives of the course are to show delegates the importance of forecasting in good planning for an organisation. Several forecasting techniques and methodologies are described. The importance of measuring the forecast accuracy is discussed and methods of measuring accuracy shown. The seminar concludes by using a computerised forecasting tool to illustrate several of the techniques that have been discussed and it is hoped that delegates will bring some of their own data which will be used as forecasting examples. Why do we need to forecast? What do we need to forecast in our business? Planning and controlling the inventory levels of finished goods for any company is critical if customer service levels are to be maintained at a high level. In addition, inventory is expensive and therefore needs to be maintained at reasonable levels. The target group for this seminar are those persons responsible for planning and controlling finished goods inventories. These people could include Sales and Marketing personnel, Master Schedulers, Supply Chain, Logistics or Materials Managers. The objectives of the course are to discuss the fundamentals of inventory, why we have it, how does it affect customer service levels and what does it cost. The ‘ABC’ analysis of inventory is shown as an important inventory management tool. Secondly, the seminar also helps the delegate to determine how much should be ordered when stock is replenished. Several lot size decision rules are discussed. Thirdly, the question of when to order replenishment stock is discussed with a couple of re-order point techniques reviewed including Distribution Requirements Planning. The seminar concludes with a case study where the delegates put into practice some of the techniques learned. Inventory Fundamentals – what should we order? Order Quantities – how much to order? Independent Demand Ordering Systems – when to order? Sales and Operations Planning and Master Production Scheduling are the first two levels in the planning and control for any manufacturing business. If these processes are not conducted in the correct way the ultimate materials and capacity planning of the business with suffer and customer service will be at a low level. It is important for Top Management the have a proper Sales and Operation Planning monthly process in place to ensure that the companies strategic plans are integrated into the operational plans of the business. In addition, this is the means whereby the CEO maintains control of his business. The Master Schedule allows the company to be driven to the ultimate goals of the business using manual control at a high level in the organisation. The target group for this seminar is Senior Management, Master Schedulers and anybody working in a planning role. In addition, anybody who is interested in how a manufacturing company should be planned and controlled at a high level would find the seminar material useful. The course objective is to give the delegates a generic understanding of the Master Planning process in a manufacturing organisation to a point where they are able to generate a Sales and Operations Plan and a Master Schedule for a case study company. Materials Requirements Planning (MRP) is the standard procedure for the planning and control of dependant demand inventory items. By taking the anticipated build schedule from the Master Production Schedule and exploding it through the Bill of Materials, raw material and component time phased net requirements are generated. This one day course is aimed at the inexperienced MRP user, including Master Schedulers, Material Planners, Buyers, Inventory Controllers, etc. The objectives of the course are to cover all the essential inputs and outputs of the MRP processes by working through a number of examples. By the end of the course, attendees should be comfortable with MRP logic, as well as the range of actions to be found on commercial MRP packages. The course numbers are limited to enable delegates to receive personalised instruction. To run a successful Enterprise Resource Planning (ERP) manufacturing system, we must ensure that the three major databases, Item Master, Bills of Materials and Routings, contain complete and accurate information with regards to planning and control. These databases need to be kept under the strict control of the Engineering Change Committee and need to be audited on a regular basis to ensure their continued accuracy to the required levels. As any engineering or technical change affects virtually all the company, this Committee would include persons from most of the companies departments. The target group for this seminar are those person responsible for the on-going creation and maintenance of the Item Master, Bills of Materials and Routings. In addition, member of the Engineering Change Committee should also attend, this would include persons from Engineering, Technical, Costing, Manufacturing, Marketing, Quality Control, Planning, Purchasing and Materials departments. The objective of this course is to impress upon the delegates to importance of accuracy in these databases, what accuracy’s are required and how they might achieve and maintain these accuracy’s in the long term. "Ensuring the efficient use of production resources"
This one day seminar looks at the execution of the Master Production Schedule and the Material Requirements Plans. It is important that the company used the resources on the shop floor, men, material and machines, in the most efficient manner. Applying best practices in this area will go a long way to achieving these goals. The target group for this seminar is anybody working on the shop floor function as well as anybody involved in planning, materials or purchasing. The objectives of the course are to show delegates the importance of good shop floor control to the company and the ultimate success of your supply chain. The seminar examines a number of best practices and indicates how they might be implemented. At the end of the day the shop floor has two objectives: to put the product together to the correct specification, and finish it on time. Without achieving at least 95% accuracy real-time records in your stores and warehouse, you ERP manufacturing and distribution systems will not function to the best of their ability, and you employees will be making many business decisions every day based on incorrect information. Inventory accuracy is therefore key to any successful ERP or supply chain management implementation. On the face of it, it would seem an easy objective to achieve accurate, real-time records in the store, but many companies find it difficult to reach this goal and maintain accuracy into the future. This seminar puts forward a tried and test methodology for any store to achieve and maintain real-time accurate records. The target group for this seminar is everybody working in or around the store or warehouse. In addition, store management and inventory management should attend. It is also useful in an implementation of a stores accuracy project to get those that interact with the stores or warehouse to attend, such as production supervisors, and representatives from the sales team and purchasing. The objectives of the course are to show delegates the importance of inventory accuracy in any manufacturing or distribution business. Secondly, to suggest a methodology to achieve this target and thirdly to focus on the cycle counting process that is key to the success of a project of this nature. JIT is a philosophy of manufacturing based on the planned elimination of waste and the continuous improvement of productivity. It encompasses the successful execution of all manufacturing activities required to produce a final product, from design engineering to delivery, and includes all stages of conversion from raw materials onward. Lean is a philosophy of production that emphasises the minimisation of the amount of resources used in the various activities in an enterprise. It involves identifying and eliminating non-value adding activities in design, production, supply chain management, and dealing with customers. The target group for this seminar is anybody in an organisation that has a need to gain a basic understanding of JIT / Lean philosophies. Those working in a manufacturing environment would probably have the most to gain. This one day seminar and workshop focuses on an introduction to the subjects of JIT and Lean. The day concludes with a participation game that aims to show how some of the philosophies taught can be put into practice and the benefits that can be gained from their implementation. Purchasing should be everybody’s business, as every Rand saved in the purchasing department goes straight to the bottom line profit. Purchasing and procurement is often an area that has very little focus put on it by management, but it has so much to offer when it come to making a success of the business. Best practices in this section of your supply chain are therefore essential in modern business. The target group for this seminar is anybody working in the procurement / purchasing function as well as anybody involved in supply chain, logistics or materials management. In addition, those working on the sales side of the business would benefit from understanding these principals as, after all, it applies to them and their buying customers as part of the overall supply chain. 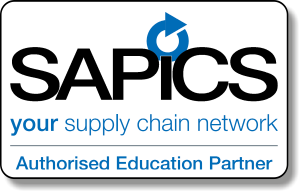 The objectives of the course are to show delegates the importance of purchasing to the company and the ultimate success of your supply chain. The seminar examines a number of best practices and indicates how they might be implemented. At the end of the day the procurement department has two major functions; what to buy from where, and how much to pay, lets do them to the best of our abilities. Inventory is probably the biggest asset that any company has on its balance sheet. Traditionally, the capability of our people and practices we use in our stores and warehouses leaves a lot to be desired. We need our best educated, trained and empowered people looking after our most valuable asset. This seminar looks at the key practices within a store, or warehouse, and suggests what should be done to achieve a world class facility. The target group for this seminar is anybody working in, or having direct contact with, a store or warehouse. This includes people involved in receiving, issuing, shipping, putting away, picking, stock counting, stores/warehouse management, materials managers, supply chain managers, logistics managers, production, finance and purchasing. The objectives of the course are to show delegates the importance of stores and warehousing in the overall supply chain and what their responsibilities are towards the supply chain. To indicates what is best practice with regards to the various task carried out by the stores / warehouse and how they might be implemented. Inventory accuracy and cycle counting practices are covered in the ‘Inventory Accuracy’ one day seminar. This intensive 2 day workshop is designed to give Purchasing Managers and Buyers the necessary understanding to develop purchasing processes which will ensure optimal quality from their suppliers. The presenter, Colin Seftel, developed this workshop based on his experience of 20 years as a handson practitioner in both purchasing and quality management at a successful ISO9000 accredited manufacturing company. Purchasing Managers and Buyers wishing to improve the quality of their purchased products and outsourced services. Quality Managers who need a better understanding of how purchasing processes work within a quality environment. Colin Seftel BSc(Eng) CFPIM CSCP CDDP is a former director of APICS in the USA and its South African Associate, SAPICS. Colin has presented papers at the annual SAPICS conferences in 1994, 1995, 1998, 2004, 2009, 2013 and 2015. In 2010, he was invited to speak at the APICS conference in the USA and in 2011 this was followed up with speaking engagements at the SMART Conference in Australia and Supply Chain World Southeast Asia in Singapore. These seminars and workshops are available to be run as public or in-house events. They can be modified to suite a particular requirement or company.